For individuals who engage in horticultural activities, grow tent has made it easier and more interesting for them to carry out such activities. People have now moved their horticultural activities to their garage or basement as opposed to their backyard. Instead of having a garden at the back of the house, it is now possible to get an indoor grow tent and tend to your plants within your home. With this, individuals who do not have enough space in the backyard can still engage in gardening. How many plants can I grow in a 5x5 tent? What should the temperature be in a grow tent? A grow tent is a fabric exterior with six sides, which has a lightweight and supported by a rigid frame. It usually has the main entrance as well as different apertures that allow for various functions including ventilation and electrical access. It could be a large or a hydroponic tent, which is designed to support the growth of vegetables, herbs, and fruits, with the ability to give better yield. Some grow tents are reputed to produce double compared to outdoor farming. There are several varieties of grow tent that you can take from the market. They have different features and sizes, depending on the budget of the buyer. Even though complete packages of indoor grow tents are available that features several components such as on board lighting and tent, the grow tents are usually designed carefully so that they can contain many soil pots or hydroponic arrangements with the aid of various equipment. Having a grow tent is essential as it gives you many benefits. Firstly, you will be able to harvest higher yields by using a grow tent as opposed to regular gardening. Another benefit is the convenience of farming from the comfort of within your house, without having to endure the harsh weather outside. You can tend to your plants, even when the sun is at its peak or when there is heavy rainfall or snow. A grow tent also gives your plant more security than they will have outside. You will have fewer problems with diseases and pests when you use a grow tent as opposed to when you do not. With grow tents, you therefore, do not have to be scared of your plants being destroyed by pests. There are several people engaged in gardening, who first use a grow tent to grow their plants for the first few weeks. After the plants are big enough, they then transplant them to their gardens or other outdoor farms. By now, their chances of survival will have improved significantly. Some other people have often experienced a loss when they attempt to plant outside. Those first few days of the plant growth, they have often lost their plants to rodents and pests. The indoor grow tent gives the opportunity to avoid such challenges when growing. Grow tents are also much more flexible and more comfortable to move around, compared to grow boxes, which perform similar functions. It is, however, essential to get a high-quality grow tent so that you can enjoy all of these advantages and get your money’s worth of value. The purpose of this article is to give the best grow tent review. This covers what grow tents are and why you will need one. Seven of the best grow tent kits are reviewed along with their features, pros, and cons. From the information, it becomes easier to choose the grow tent that you will be more comfortable with. You will also be able to get a grow tent that will be durable and efficient for your indoor farming. The Gorilla GGTLL22 LTGGT22 Grow Tent is designed professionally and great for beginners as well as experts. You can easily have your yields double when you used this grow tent that is reputed to be the first height adjusting tent ever. It has an expert design, making it a perfect solution for individuals who have a tight budget for growing, but desires to have a quality grow tent. This is one of the most budget friendly grow tent in the world. The ducting ports are properly positioned based on the professional configuration. The large windows with EZ view allow for easy snapping of growing without the environment being compromised. The wraparound zippers and doorways provide convenient access to 360 degrees. The huge double cinching 10 inches ducting ports result in the easy maintenance of an environment that is ideal for growing. Every pole with metal interlocking offers a strong and stable enclosure for growing that is perfect for the success of indoor gardening. Lite line which utilizes an all secure, interlocking, steel, frame. Resistant to bug and features mesh pre-filters that are adjustable. Durable and dependable canvas offers a secure and safe environment for growing. Adjustable height alongside patent pending extension poles that are adjustable (which can be ordered separately), giving the ability for the grow tent height to be increased to 6’7” from 5’7”. The Apollo Horticulture Indoor Plant Growing Mylar Hydroponic 48” by 48” by 80” Grow Tent offers one of the top grow light value. This grow tent is made from poles of the metal frame, ensuring that you have a secure tent. This one is another best grow tent right now. You are also provided with any outside exposure you do not want from the quality double stitching and thick fabric of the tent. 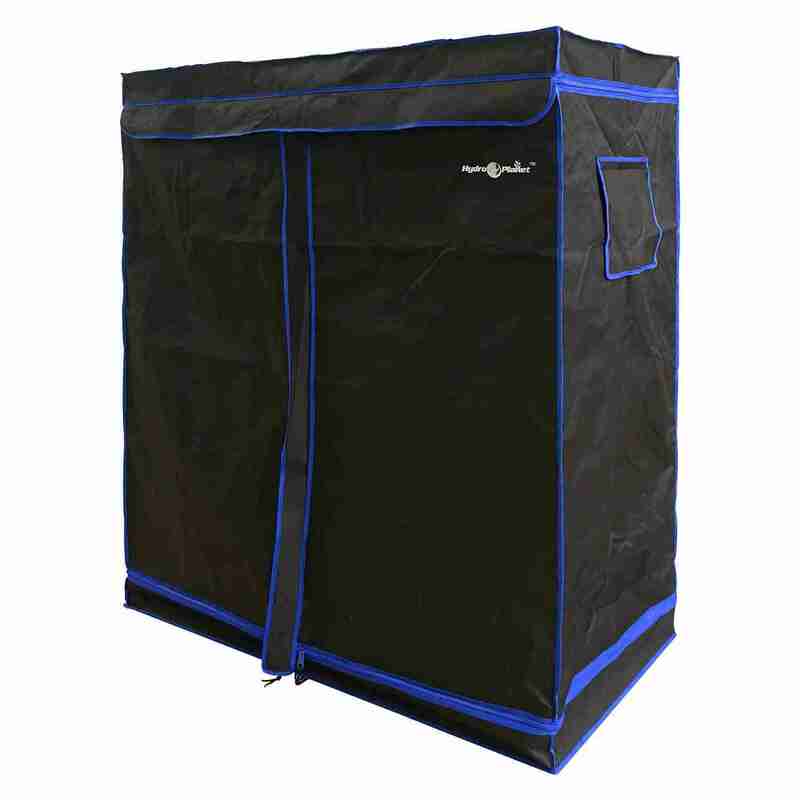 The plants in the grow tent are further protected by heavy duty zippers made from metal. The zippers also provide easy access to the plants. A reflective mylar film, which is 100 percent tear proof and light proof is utilized for lining every tent, which leads to your herbs and plants being exposed between 92 percent and 97 percent of the light bulbs in the tents. This helps to enhance the growth of plants without wasting energy that will be billed. Apollo Horticulture products, of which this product is one, gives to customers a service that is unbeatable. Comes with a pamphlet of instruction for easy set up of the product. The iPower Water Resistant Hydroponic 96” by 48” by 80” Grow Tent with Removable Floor Tray for Indoor Growing of Seedling Plant 4’ by 8’ is a product of iPower, top systems of grow light producer. This grow tent makes it easy to carry out gardening indoors. Controlling light and climate is easy as it becomes possible to easily and safely grow any type of plant. The interior layer is designed with a lining that is highly reflective for maximized heat control and light as well as makes sure that the environment is optimal for plant growth. This tent has a metal frame that is constructed to be tabular and sturdy. It does not require any tool to assemble and also has bars on which lights can be changed. The light fixtures can also be secured with the aid of the duty support heavy bars. 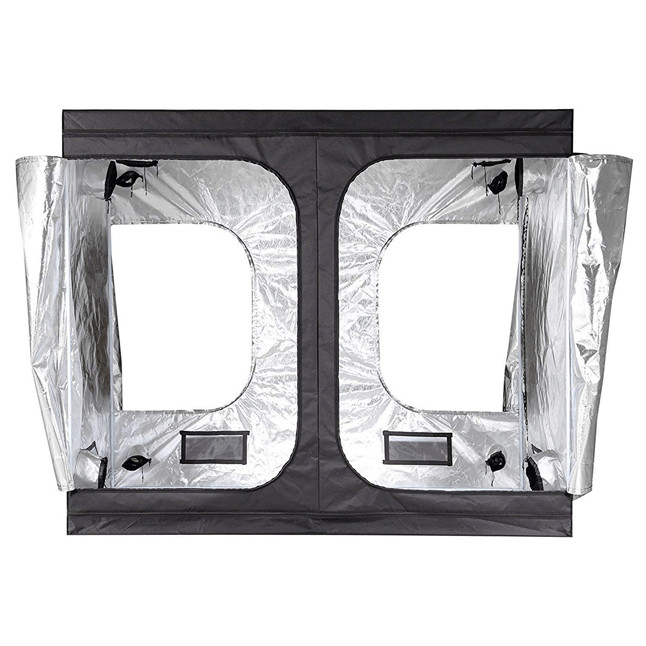 The reflective lining on the grow tent’s interior is constructed with reinforced zippers that are durable so that it is simple to set up alongside multiple exhaust/intake ports that enhance moisture and vapor control. With the ports, electrical appliances, filters, fans, and ductwork can be implemented. There is also a waterproof floor pan that is reflective and can be removed so that your indoor gardening can be carried out without the hassles and makes sure you have an enclosed and clean environment where the plants you grow can flourish. The door with large zippers further gives the provision for your growing equipment and plants to be easily set up. Heavy duty sturdy frame supported with poles made of steel and have the ability to support a minimum of 110 lbs. The tent material is thick and tent proof, making it be very durable. Comes with a user manual, 2 filter straps, easy cleaning Mylar floor tray that is removable and 100 percent water resistant. 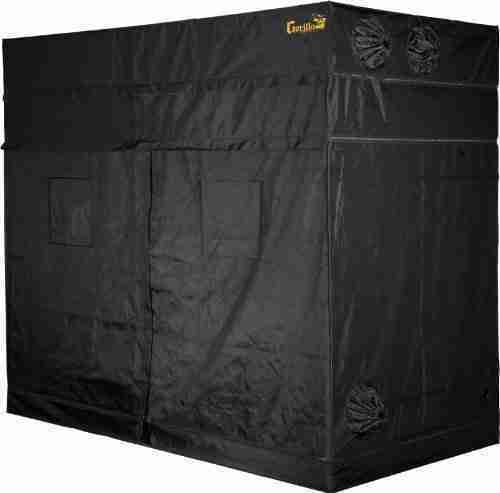 The Gorilla Black 5 x 9 x 6 feet GGT59 Grow Tent is designed in an expert manner and beginners can easily use them. They are among the strongest, thickest and tallest grow tent available as the height can be adjusted up to 10 inches. With properly positioned ducting ports and view windows, it is very simple to get snapshots of growth without the environment being compromised. It offers an access that is convenient with a 360-degree doorway. The layout is also large and thus offer to maneuver free of frustration. Maintaining the growing space is a snap and ideal as a result of the large double cinching 10 inch ducting ports and thick material. It is between 3 to 9 times denser compared to most over grow tents that come with 200d to 600d as against the huge 1680d thread density for this grow tent. The frames of the gorilla tent are strong and have the ability to support 300 lbs. A cool surface temperature is maintained as the roof is blocked with a patent pending infrared technology. Convenient pouch for access tool. Infrared insertion for roof blocking. The Apollo Indoor Plant Growing Horticulture Mylar Hydroponic 96″ by 48″ by 80″ Grow Tent is designed for expert users. They are to be used only where there is proper ventilation in a greenhouse environment. In line with this, they are not recommended to be used in spaces that are enclosed and small, community houses or apartments to avoid fire hazards. It is therefore, expected that you only buy this product if you agree to use it in line with the recommended usage, as it is only when this is done, that the best results can be achieved. This tent comes with a warranty of 90 days and a customer service team that is exceptional. It comes with an instruction pamphlet can be used to grow vegetables, fruits, flowers, herbs, and plants. It provides stability and security and ensures that odors do not leak out or allow pests to get in. Product dimensions of 50 inches by 13 inches by 7 inches. Comes with a pamphlet containing instructions for assembling the grow tent. 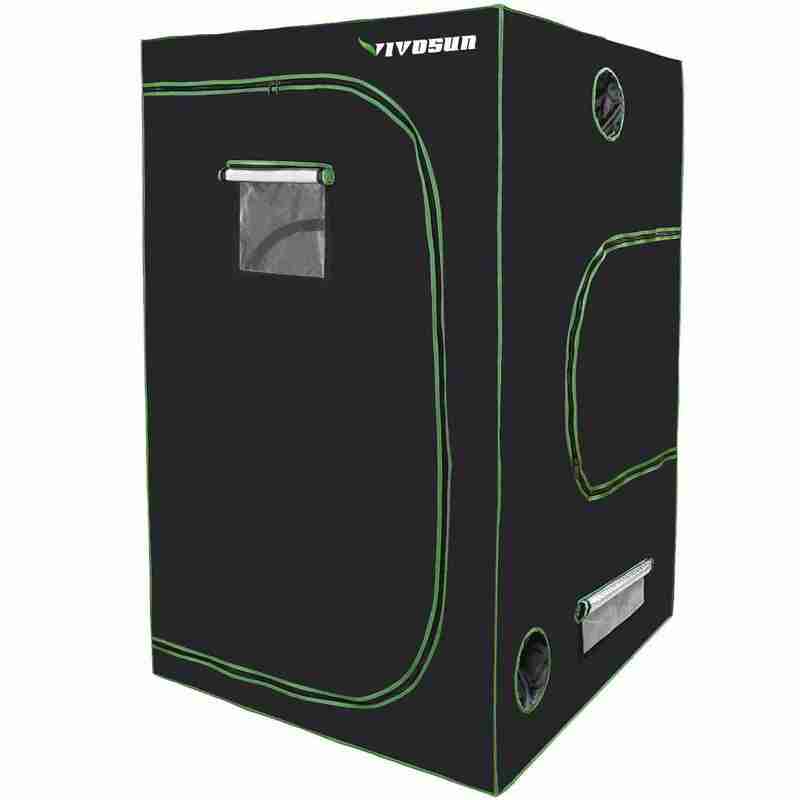 The Vivosun 4′ by 4′ Indoor Plant Growing Floor Tray Mylar Hydroponic 48″ by 48″ by 80″ Grow Tent with Window for Observation are constructed with great materials based on unrivaled craftsmanship. This grow tent comes with a window for easy viewing so that it is easier to watch the plants as it grows on a daily basis. It comes with a design that is extremely unique when compared to others. The floor tray is removable and very easy for washing and cleaning. The grow tent comes with some extra features that make it fun to use such as connectors that you do not need tools to fix, carbon filter belts and dual ventilation socks. The Hydroplanet Indoor Plant Growing Hydropoinc Mylar 60 inches by 31 inches by 80 inches Grow Tent allows your plant to grow like a monster due to the conducive environment it provides for your plant to grow. It is constructed in such a way that it is possible to control heat and have maximum light as the interior is made all around from reflective lining. The grow tent can be used to grow different types of plants such as every type of herbs as well as vegetables and fruits at any time of the year. It is possible to contact customer care and quote the ID for your order if you have any issue with the product within its 2 years warranty. There are a number of things to look out for when you are buying your grow tent, be it a hydroponic grow tent or a large grow tent. Some of the things are below. The entrance of your grow tent is very important. 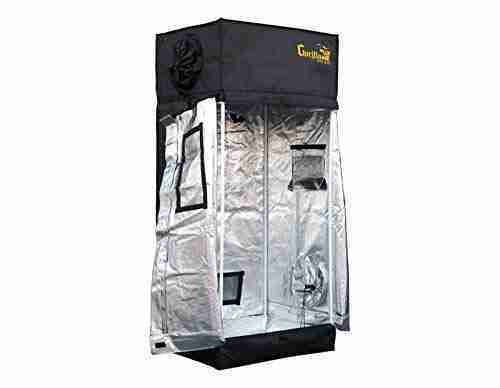 When you want to plant, you will need to enter your grow tent from here. Same with when you want to tend to your plants as well as when you want to transplant or harvest.It is vital that you get a grow tent with a large easy entrance. When the entrance is large enough, it will be easier to go in and come out without getting entangled with the tent, which could lead to your falling down and or your tent getting torn. From time to time, you will want to just see what is going on with your plants without necessarily having to enter into the tent. When you have great view windows on your tent, which are usually transparent parts of the tent, then you will be able to see without entering. This will put less pressure on the entrance to your tent, which is usually a heavy duty zipper. Thus, your grow tent should be able to last longer. It is important to the fabric of your grow tent to be thick. This, on the one hand, will help to make it last longer as the chances of tearing will reduce. You should look out for a tent fabric that is tear proof. 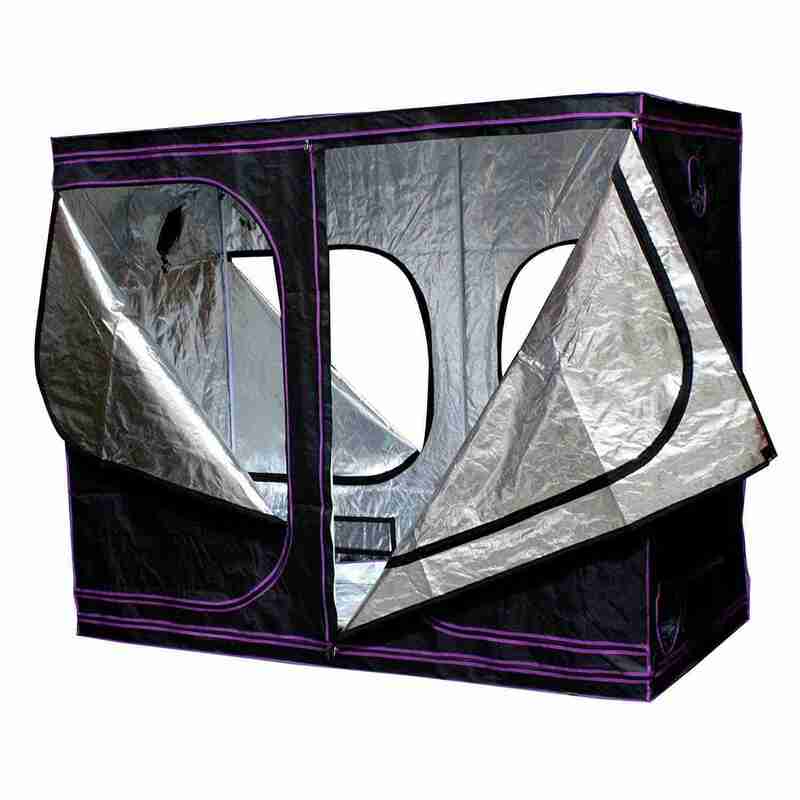 Leakage of light is a very common problem that people often have with their grow tents. Sw, it will be best to get a tent that has a minimum of 95 percent light reflection. You should preferably go for a grow tent of 100 percent light reflection. 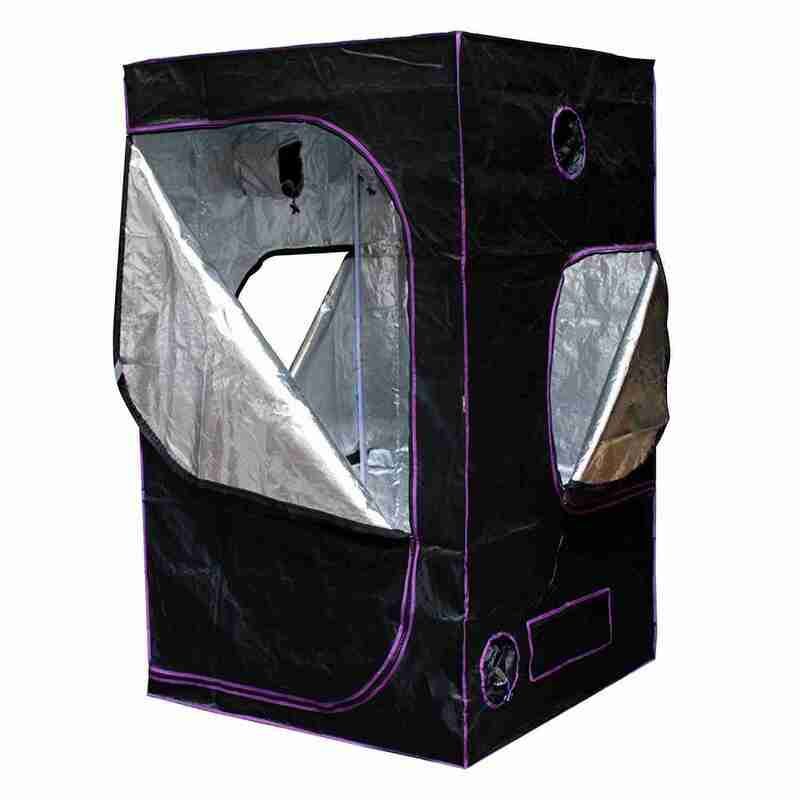 In most cases, the access to your grow tent will be through a zip which you can zip down to access your grow tent and then zip up when you are through with checking your plants.Considering that you will have to tend to your plant frequently and regularly, it will be best to go for a grow tent with heavy duty metal zip. This will reduce how quickly your zip will get spoilt and the need to spend money replacing the zippers or the entire grow tent. The frame for the grow tent gives it support. Apart from giving it support, it also gives you the platform on which to hang your electrical wires and bulbs as well as other items you might want to hang in your grow tent.You should, therefore, get a grow tent with a frame that can support everything you need to hang. You might want to go for a grow tent that can support up to 300 lbs, as it is better for it to be able to support much more than you need than to support less than. The size of your tent will depend on the size of the indoor space you want to keep it and/or the number of plants you intend to grow in the tent. You should, therefore, endeavor that you get something that will fit well into your space. You should also ensure that the right quantity of plants is used in the space. When you are buying your grow tent, you should check to make sure that the package contains everything you will need to set up the grow tent. With this, you can immediately start to set up your tent once it arrives. You might also want the one that will not require any tools to fix. When the kits are not included, getting the right type, size and color could become difficult. It will also cost you extra money as well. Any of the grow tents reviewed in this piece will be able to serve you for a long time and aid the growth of your plant, once it can fit well in the space where you intend to place it. You should also pay attention to those that are not for small space or apartments. Different plants require different spacing for them to grow efficiently. Generally, however, you can easily fit between 3 and 4 plants in your 5 x 5 grow tent. At the maximum, you should not grow over 8 plants, especially if you are using a single 1,000 watt bulb. Different plants also grow best in different temperatures. 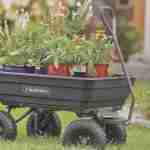 You might need to confirm the best temperature for the type of plant, herb or fruit you intend to plant. The size of your grow tent will determine how much LED grow lights you will need for the tent. On the average, a 200 watt led light bulb should be sufficient for 6 feet by 6 feet grow tent. A best grow tents have helped a lot of people who love to engage in horticultural activities but do not have the perfect outdoor space. For others, it is the problem of pests, diseases and harsh weather conditions that have forced them to prefer indoor farming to outdoors. Irrespective of the reasons, it is important to choose from the best grow tents for your indoor farming. So, this will help to ensure that your grow tent is able to stand the test of time and it is able to serve you efficiently. It will also be able to provide firm support for lighting and other fixtures.